3.2. When selecting ads to be displayed on the Advertising spaces specified in 2.1, 2.3, 2.4, 2.5 of these Rules, a key phrase/word/search query (if the Advertiser uses Autotargeting as an additional option) (without stop words (https://yandex.ru/support/direct/#glossary)) and also the Quality factor (according to the definition of this term set in 3.10), forecast CTR and Rate shall be taken into account. Higher rated ads (forecast CTR, Cost per Click, and Quality factor) are located at higher positions and / or shown with their design expanded (i.e. with additional information, images, and other ad elements provided by the Advertiser). This clause does not apply to Search banner. 3.7. Ads displayed on the Advertising spaces specified in 2.4 of these Rules may be accompanied by a special mark shown on the map, with reference to a certain locality, corresponding to the address specified by the Advertiser on the contact page (virtual business card) of a relevant Ad. When a User addresses the mark, an “Expanded Mark”*** block appears containing the Ad text and/or contact details provided by the Advertiser. 5.3. If quick links (additional links that may be shown when an Ad is served) have been filled in for an Ad by the Advertiser, they may be shown together with the Ad displayed in the Premium block and may as well be shown when the Ad is displayed on other locations specified in Clause 2.1 of the Rules (except when ads are displayed to the right of search results) as well as in the other positions/on the other pages specified in Clause 2 of the Rules. The said rule does not apply to the Image Ads. 5.17. 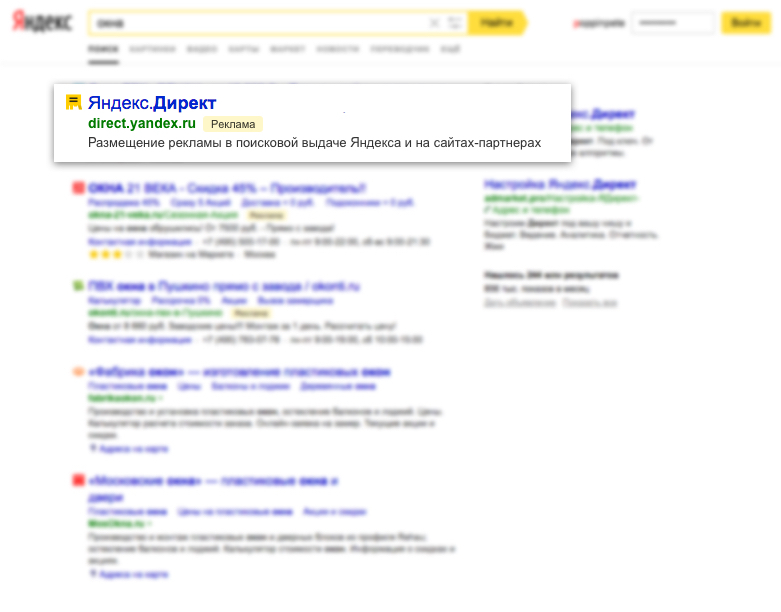 The Advertiser hereby agrees that in case the Ad contains the Link to the contact page (virtual business card), the information on such contact page (virtual business card) could be used by Yandex to perform automated matching of such information with information about the companies available on the “Yandex.Directory” (https://yandex.ru/sprav) (“Directory Information”). Placement of the Ads on the Advertising Spaces specified in the clause 2.4 of these Rules could be accompanied by the Directory Information automatically matched by Yandex according to the provisions of this clause, including but not limited to: photo of the respective company, panoramas, reviews of the company, rating/number of the reviews, category/rubrics, the nearest metro station (if applicable), additional characteristics of the company (average bill, wi-fi and etc.). This functionality could be activated for the foregoing type of Ads by default provided that Yandex will notify the Advertiser about such activation via Client web-interface. The functionality could also be activated by the Advertiser by selecting respective check-box in the Client web-interface. In any case the Advertiser undertakes to ensure that the Directory Information is correct and legally used. The Advertiser also undertakes all obligations and warranties provided by this Offer in respect of the use of the Directory Information in the Ads. The Advertiser may cancel the application of the foregoing functionality by using special check-box in the Client web-interface.